Pierogi, a mainstay of the Polish diet since the 17th Century, remains both a nostalgic dish and a way for chefs to flex their creative muscle. In Slovakia, they’re known as pirohy. In Ukraine, they’re called varenyky. But to Poland, and most of the rest of the world, they’re pierogi. The humble boiled dumplings are one of Poland’s most beloved dishes, as well as its culinary symbol across the world – homesick Poles can find satisfying pierogi everywhere from Shanghai to London. In today’s Poland, they’re still an unpretentious dish. But more and more Polish chefs have been playing with new, fancy versions, demonstrating the breadth of what their country’s cuisine has to offer. “When you think about this dish, you think about home, about traditional, about your grandmother,” said Sandra Kotowicz, owner and chef of Warsaw’s Le’pię restaurant. Kotowicz has strict rules for pierogi making. Those shortcuts arose because making pierogi is so time-consuming. They’re formed from a dough of water, flour, egg yolks and oil (although Kotowicz chooses to skip the egg yolks for her recipe). After kneading and resting, the dough is rolled out, cut into rounds and filled with a mixture of either savoury or sweet fillings. Then comes one of most important steps: the crimp for sealing the dough, so it doesn’t fall apart when dropped into a pot of boiling water. Once ready to serve, they are topped with butter or sour cream. “You use only one finger for it, but it just takes time to do it really nice and very fast – you just have to try all the time,” Kotowicz said. The origins of pierogi are murky – some say Marco Polo brought the idea over from China – but the dish dates back to at least 1682. That’s when Poland’s first cookbook, Compendium Ferculorum, albo Zebranie potraw, was published, featuring a recipe for pierogi stuffed with veal kidneys. In the years after, the recipe morphed to match the needs of the people making it. In the 17th and 18th Centuries, the upper class often made pierogi featuring expensive ingredients such as fruit, spices from Asian countries and sugar. But common people also started making them. For them, pierogi was a simple meal designed to make the best of the limited ingredients available to them, like groat. Pierogi became such an integral part of Polish culture that they even got their own patron saint. St Hyacinth was a Polish priest honoured for protecting his church’s ciborium and statue of Mary during an attack by the Tatars, who invaded from Mongolia. But, according to legend, he also performed a gastronomic miracle. One story says he became the pierogi saint after telling the citizens of a small village to pray during a hailstorm. The next day the crops flourished, and the villagers served him pierogi made from the crops as a symbol of their gratitude. An alternate story describes him saving people from hunger by feeding them pierogi during the invasion in the mid-13th Century. He also inspired a phrase, the ‘oh my gosh!’-type exclamation ‘Święty Jacku z pierogami!’ or ‘St Hyacinth and his pierogi!’. Pierogi has come a long way from its kidney-filled origins. One of the most popular types remains pierogi ruskie, made from twaróg (a fresh, white ‘farmer’s cheese’), onion and potato and named for the Ruthenian region of south-east Poland. There’s also pierogi leniwe, or ‘lazy pierogi’, where the cheese and potato fillings are mixed into the dough, rolled out and dropped into the water; no tedious filling required. There are other regional variations too, said Jarosław Dumanowski, a historian at Poland’s Nicolaus Copernicus University. “In the eastern part [of Poland], they use pierogi filled with buckwheat, [which] is slightly funny for us living in [the] northern or western quadrant,” he said, pointing out how he and his wife grew up with different ways of eating pierogi since they’re from different regions of the country. [Pierogi] is very often emotional,” said Dumanowski. Pierogi have traditionally been made at home, and because of how labour-intensive they are, they were often made only for special occasions. “Groups of women – mothers, daughters, cousins – would stand in the kitchen and talk while chopping onions and making dozens of pierogi... the making of the pierogi itself turn[ed] into a celebration,” write Anne Applebaum and Danielle Crittenden in their cookbook From a Polish Country House Kitchen. On Christmas Eve, families traditionally make tiny pierogi filled with wild mushrooms and float the dumplings – called uszka, or ‘little ears’ – in bowls of borscht. 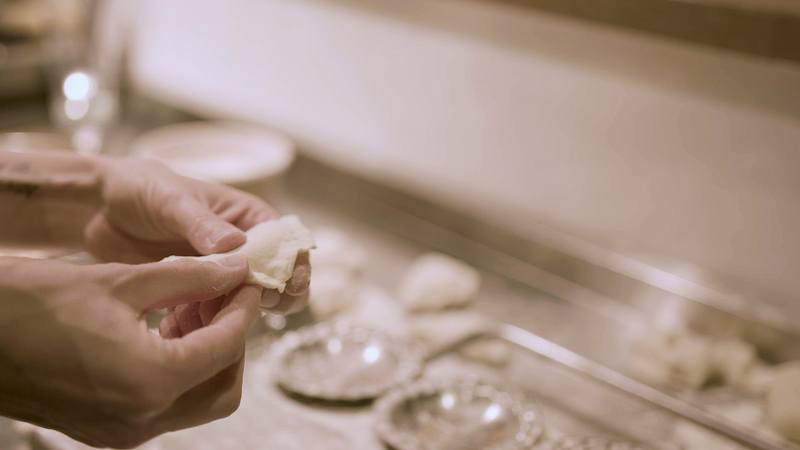 As time went on, people didn’t have the time to spend hours making pierogi the way their mothers and grandmothers did. 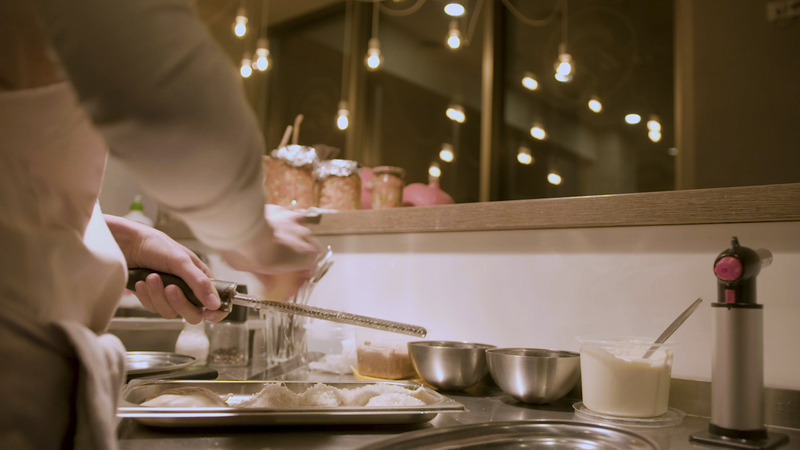 While some might still go through the effort of hand-making them for a special occasion, for everyday ease others started turning to pre-made, frozen pierogi, or to a pierogarnia, an affordable restaurant dedicated to pierogi. Or, they might go to a bar mleczny, a cheap, government-subsidised cafeteria. These so-called ‘milk bars’ were a mainstay during Poland’s communist era, when they were one of the few approved options for eating out, since their traditional, simple menus adhered to the strict government regulations of foods available. And when communism ended in Poland in 1989, people were thrilled to finally have access to non-Polish food options. They wanted something new, and embraced exciting international flavours at French or Italian restaurants, or at fast-food chains. When Poland got its first McDonald's, three years after communism ended, it broke the company’s existing record for most sales in a day. But slowly, tastes started changing again. Tired of Pizza Hut and Big Macs, many Poles turned back to their culinary roots around the early 2000s. The first Polish branch of the Slow Food movement began in 2002, and there’s been a new enthusiasm for local ingredients. People have become nostalgic for the foods of their childhood, with some even maintaining a tenderness for communist-era milk bars which, despite their diminished numbers – during communism, there were around 40,000; now only around 150 remain – are still enjoyed by those seeking a sentimental taste of the past. That pride in distinctly Polish cuisine is what inspired Sandra Kotowicz to open Le’pię in April 2018. After starting her cooking career in her native Poland, she worked in fine dining all over the world, in London, Belgium and Samoa. At those jobs, she’d make pierogi for her co-workers to introduce them to her country’s cuisine, and dream about opening a place of her own back in Poland. She started thinking about the food she would make at that future restaurant. “I was looking for something which is from Poland, because I’m really proud I’m Polish,” she said. And she’s not the only one taking a more considered approach to the stalwart dish. Warsaw’s Elixir restaurant offers duck pierogi with caramelised cranberry and baked beetroot, and in Gdańsk, there’s Pierogarnia Mandu, serving up traditional and modern pierogi (including a vegan option) in addition to other styles of dumplings from around the world. I was working in top restaurants with Michelin stars, and what [am I] doing now? 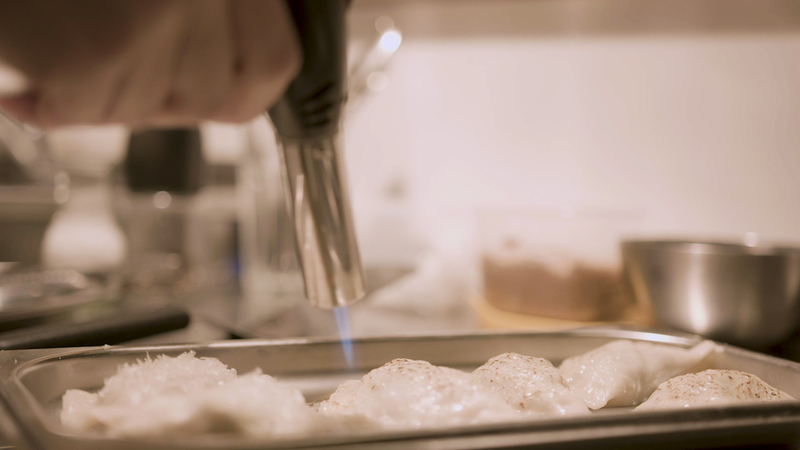 Pierogi… that was my dream – [to] have [a] small bar, with one-of-a-kind comfort food with high-quality products,” Kotowicz said. Kotowicz’s pierogi are more expensive than many of the more traditional versions around the city. She’s proud to offer fresh pierogi, made from adventurous – and costly – ingredients, but sometimes customers balk at the price. Yet at the end of the day, it’s worth it for her, to spend the time and effort to show people that there's still something new to be done with her country’s iconic dish. And her restaurant's success – the regulars she’s won over, despite their suspicions that her pierogi will never compare to their mothers’ – shows just how enduring, and comforting, the unpretentious pierogi remains.